Gov. Kelly pledges to improve education, Medicaid expansion and foster care; GOP offers rebuttal – Welcome to Wyandotte Daily! The cast of characters may be new, but the script taking shape at the outset of the Kansas Legislature’s 2019 session rings familiar. Such give-and-take is typical at the start of a session, but this year’s is sharper because Kelly is a Democrat and the leaders of the Legislature are virtually all conservative Republicans. The sharpness of those differences is evident in the State of the State speech that Kelly delivered to lawmakers Wednesday and the Republican response given by Senate President Susan Wagle. 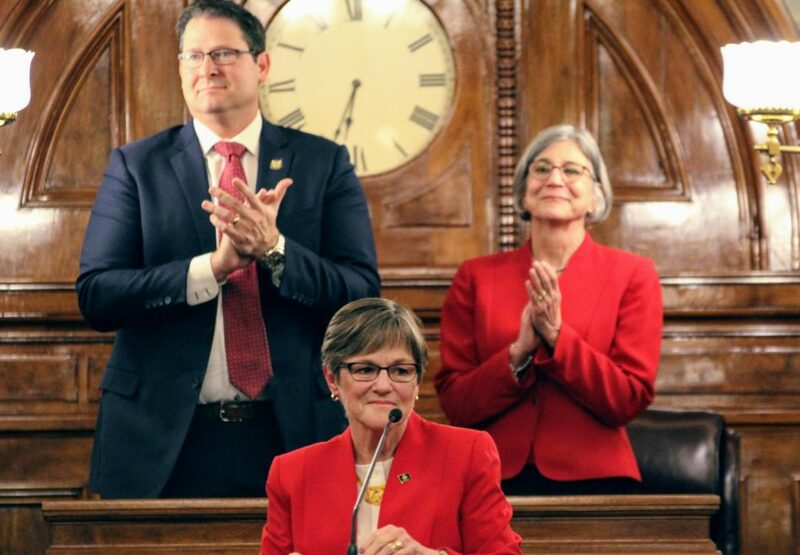 Kelly called on lawmakers to fully fund the state’s public schools by complying with a Kansas Supreme Court order and boosting the funding package passed last year to cover inflation. It’s estimated that would cost an additional $364 million over the next four years. The governor said the budget she’s proposing will “pave the way” for expanding KanCare, the state’s privatized Medicaid program, to cover an additional 150,000 low-income, disabled and elderly Kansans. The Affordable Care Act, often referred to as Obamacare, requires the federal government to cover no less than 90 percent of a state’s expansion costs. One of the top priorities for Republicans is the return of what they’ve labeled “the federal windfall.” That money flowed into the state treasury after changes in the tax cut bill Congress passed in 2017. GOP leaders appear determined to quickly restore tax deductions that some Kansans can no longer claim because of the federal changes. Not doing so, they say, would amount to a tax increase. Kelly isn’t spoiling for a fight. But she’s urging caution because of the bill’s estimated $90 million annual cost. She argues it would be more prudent to get a firmer grip on the state’s revenue situation before passing what she sees as a tax cut. Kelly’s call for overhauling the foster care system brought both Democrats and Republicans to their feet in applause. Wagle and other GOP leaders say they’re willing to work with the governor to address the problems. But they warn that the money needed to fix them, when combined with Kelly’s other spending priorities, could put the state back in the red. And not if it means a tax increase. Reminding lawmakers of the “breathtaking years of crisis” caused by Brownback’s income tax cuts, Kelly said she was elected to “rebuild our state.” But, she said, she has no intention of spending down the state’s recovering balances or breaking her campaign pledge to balance the budget without raising taxes. Reconciling her priorities with those of the Republican-led Legislature, Kelly said, will require a kind of bipartisan cooperation that has recently been in short supply at the Statehouse.